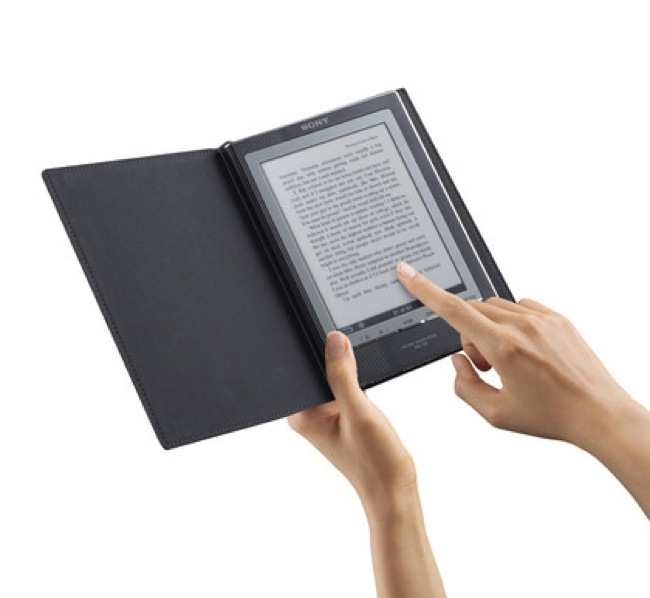 Sony is set to release a new range of eBook readers, but the catch is we don’t know exactly when. This lovely bit of news just leaked and is slowly gaining momentum across the web. The two new devices are the PRS-650 and PRS-350. Both are just 10mm thin and have E Ink displays that offer faster page turns and better contrast. There will be a slight difference in screen size though, as the PRS-350 measures 5 inches while its big sister is 6 inches. Between the two, it’s really the PRS-650 that’s the more attractive when it comes to specs. For starters, it’s got a massive leap in storage space with a hefty 2GB for maximum book pleasure. Sony even had the sense to throw in WiFi and 3G connectivity. The PRS-350 however, is expected to be less endowed but still attractive enough with improved performance over its predecessor, the PRS-300. What both devices have in common is new software plus USB 2.0 and can read formats like BBeB eBook, Adobe PDF and even Microsoft Word. All this on top of a battery life span of two weeks. While there are still a lot of questions left unanswered, we can be sure that the reader wars are getting hotter.